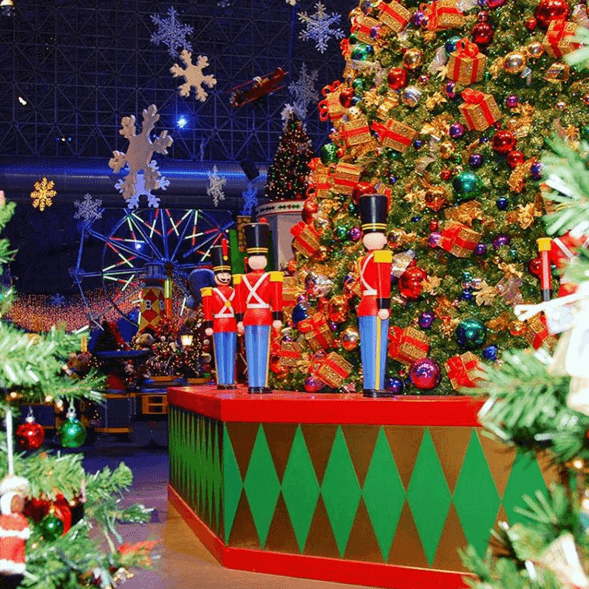 Winter is nearly here which can only mean it’s time for the 18th Annual PNC Bank Winter WonderFest at Navy Pier. Billed as Chicago’s “Chicago’s biggest and best indoor winter playground,” the Fifth Third Bank Winter WonderFest will opens Friday, Nov. 30 With 170,000 square feet of attractions, including rides, giant slides, indoor ice skating, and holiday decor Winter Wonderfest is the ideal place to bring the whole family during Christmas break or on the weekend. Tickets for Fifth Third Bank’s Winter WonderFest are on sale now and can be found on the Navy Pier online ticket store. All guests ages 3 and up must have a ticket to enter. Buy the activity pass online now and save! Recommended for all adults and children 36″ and up, the individual ticket includes basic admission and access to all rides and activities, including one ride on the Centennial Wheel at Navy Pier through March 31, 2019. Recommended for groups of six. Includes all of the amenities included in the individual ticket. Phil Stefani’s Riva Crab House is conveniently located on Navy Pier, near the heart of Winter WonderFest. Stop by Riva Crab House after Winter WonderFest and enjoy a delicious meal at Chicago’s only seafood restaurant on the waterfront. All season long we’re also serving adults our boozy hot chocolate and the kids can build their own milkshakes at our milkshake bar. Something for everyone!